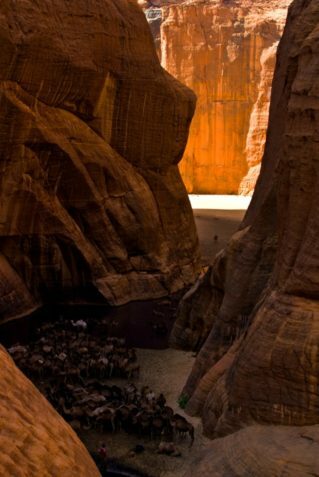 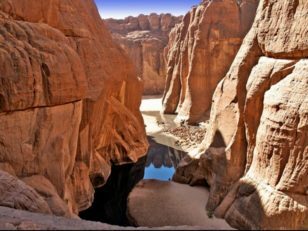 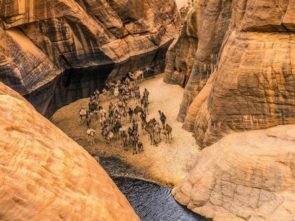 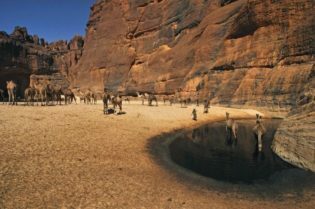 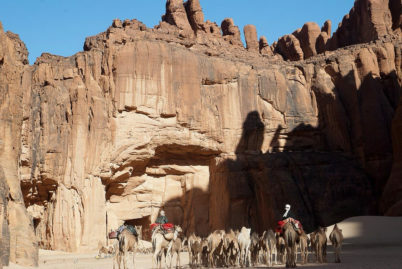 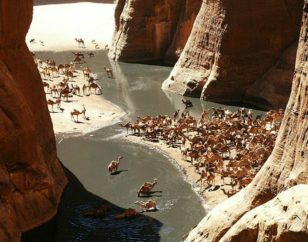 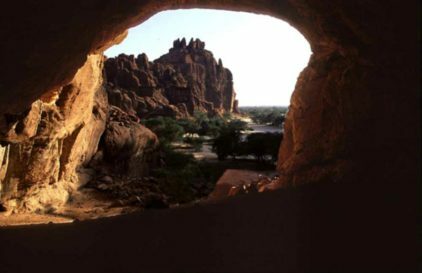 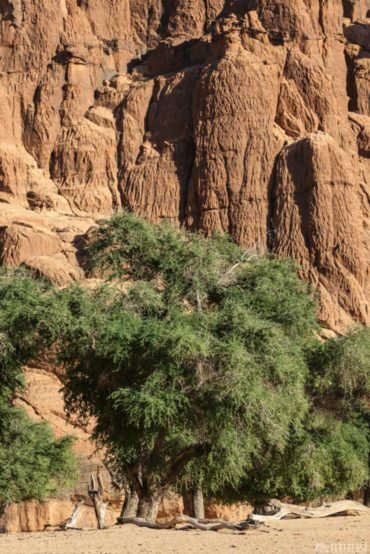 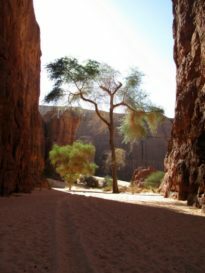 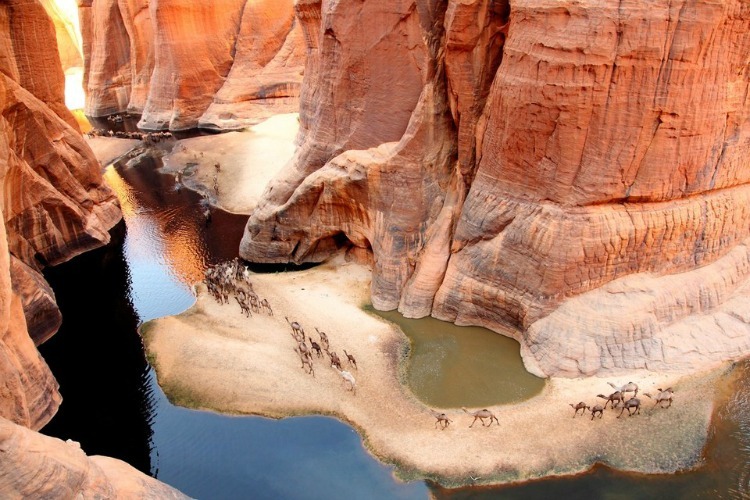 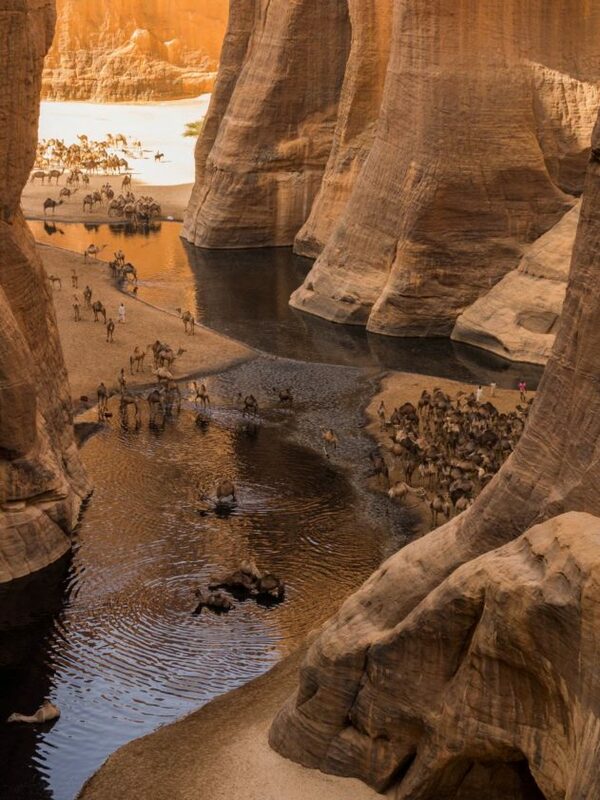 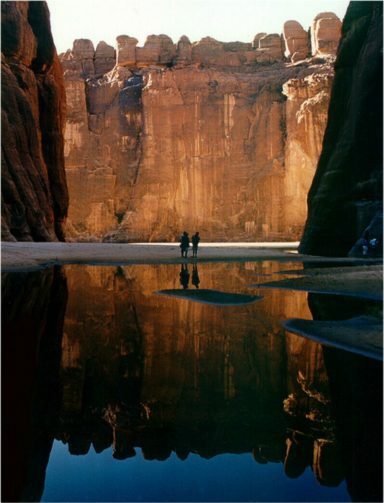 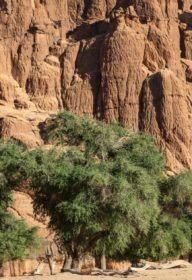 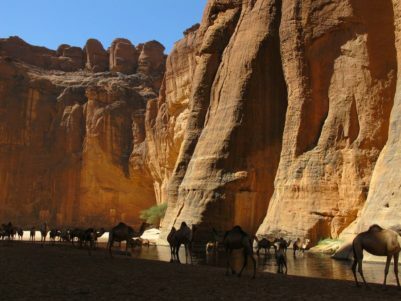 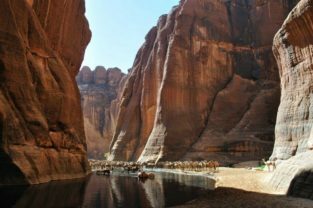 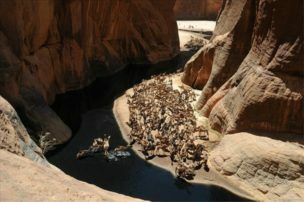 Guelta of Archei is located right in the heart of the desert, Ennedi Plateau, it is hidden by a incredibly impressive canyon, especially if you look at the scenery from above. 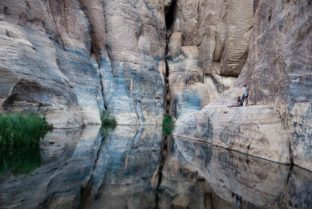 Before to speak about the scenery, we wish to clarify briefly, what is a guelta; it is a natural pool of water; a permanent pool is formed, usually in depressions of the desert, where there is high humidity, due to the water that flows underground to the surface. 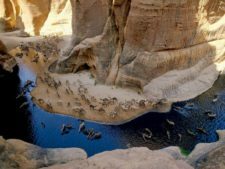 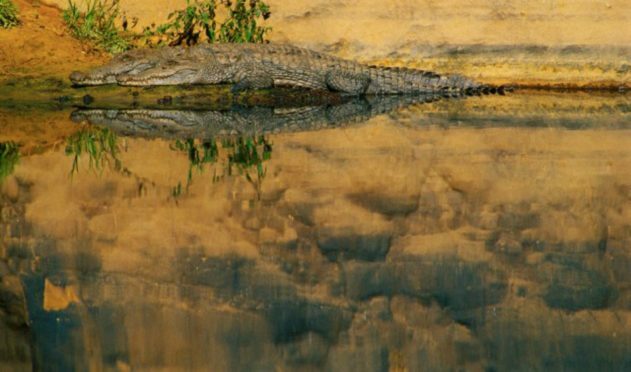 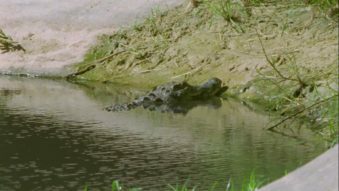 In those waters it’s possible to find rare Nile crocodiles, they eat particular fish which feed on incredibly algae, but equally incredibly, the latter grows in those waters thanks the “fertilization” of camel dung! 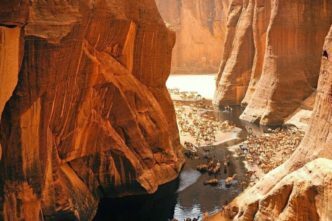 Guelta of Archei is one of those places that you just see on a map, but when you get there, you can not be amazed by an oasis in which the shadow is not procured by the usual vegetation.. the shadow is created thanks the high sandstone cliffs typical of that area. 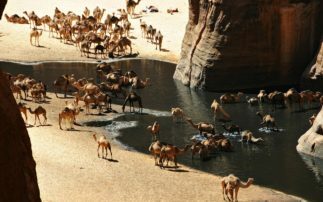 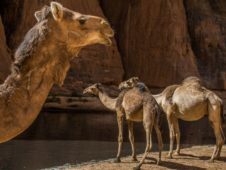 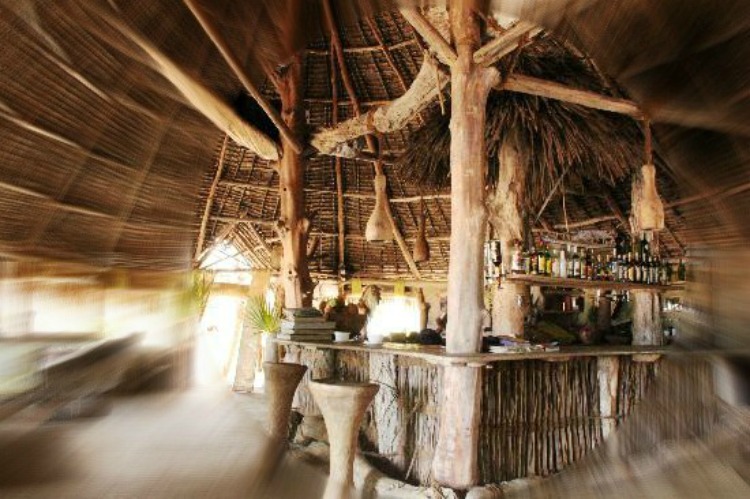 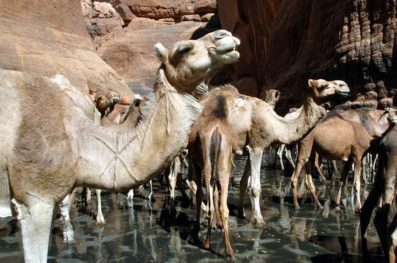 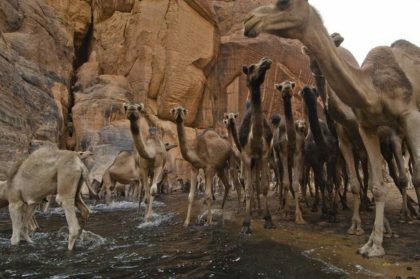 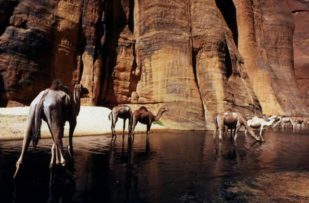 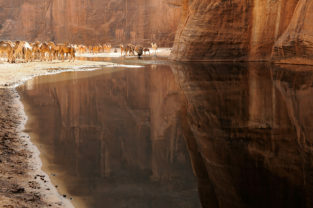 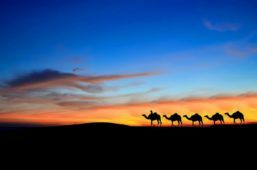 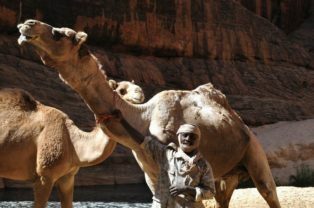 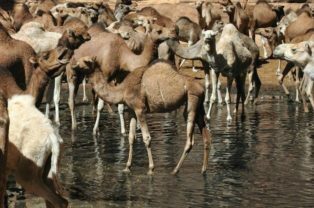 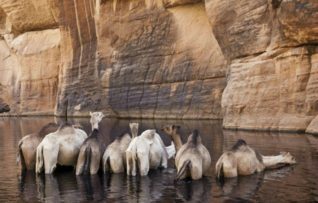 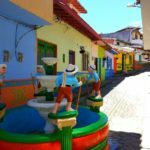 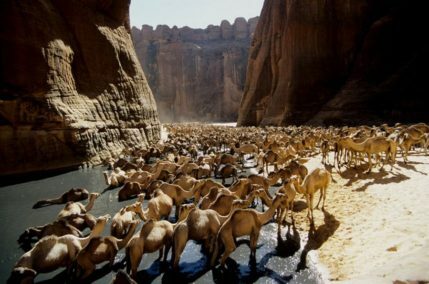 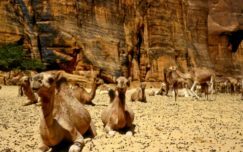 It is very impressive to see the camel caravans stopping to drink; with the nice quadrupeds with their humps, pushing each other to gain the deepest point, the point more refreshing! 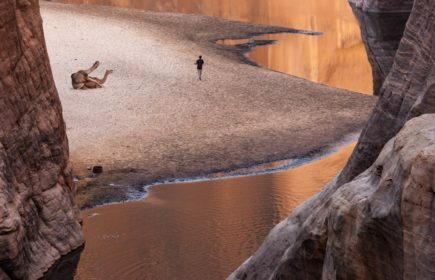 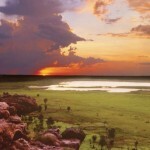 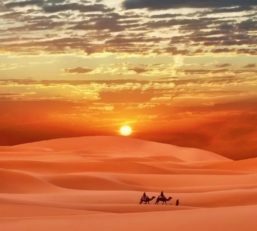 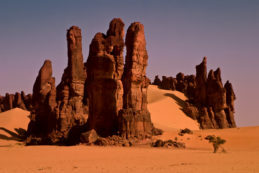 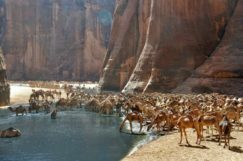 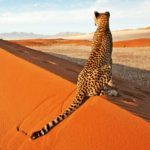 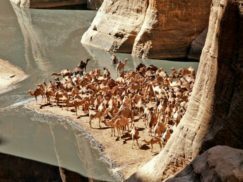 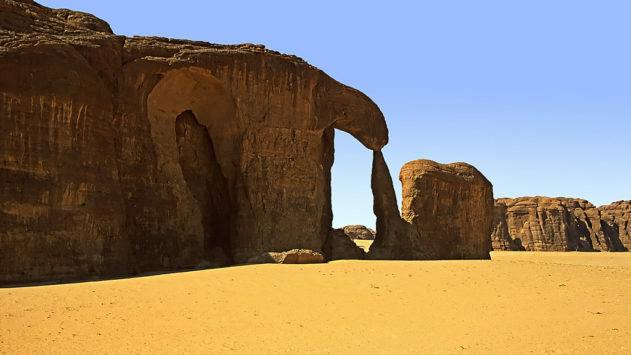 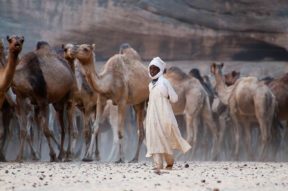 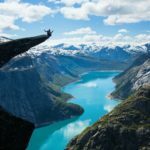 Sahara, its magical colors and its terrible climate… a territory that once again amazed us by this “zoological wonder” where Nile crocodiles, fish and camels contend the unusual “reservoirs” of water in the middle of the African desert.